Cate Stetson began working with Indian gaming issues in 1982, and Stetson Law maintains a keen interest in the area of Indian gaming, having been involved in negotiations between tribes and states and in developing gaming compacts as well as casino management contracts. 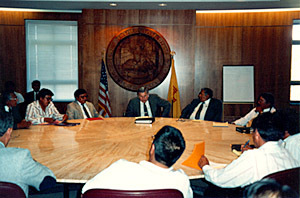 In addition, they have assisted tribes with the drafting and adoption of tribal gaming codes and regulations, all having been approved by the National Indian Gaming Commission as being in compliance with the federal Indian Gaming Regulatory Act. Most recently we have been involved in advising tribal clients on the status of proposed legislation and regulatory provisions affecting tribal gaming operations.